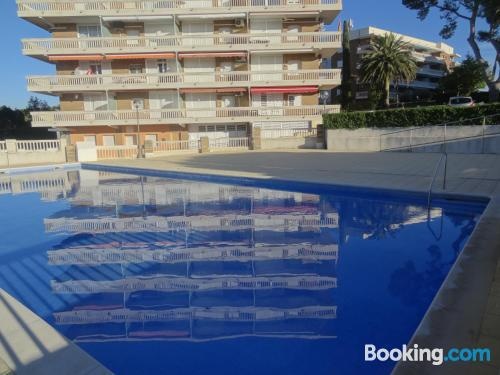 Set in Salou, CYE6 Cap Salou offers accommodation with a private pool. This apartment provides accommodation with a terrace. This apartment comes with 2 bedrooms, a kitchen with oven, a flat-screen TV, a seating area and 1 bathroom with a bath.